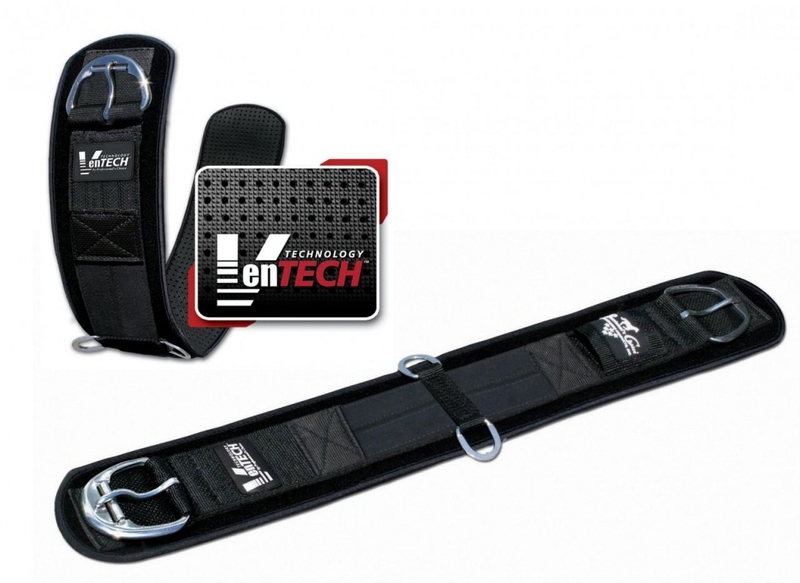 This high-tech cinch is designed with the unique advantage of having 100% elastic, combined with neoprene so the center of the cinch stretches with the horse as it works, and is not restricting in any way. Pressure is evenly distributed over the entire surface area of the cinch. Unique limestone based neoprene eliminates saddle slippage and won’t harbor bacteria. A non-moisture absorbing cinch with excellent stabilizing properties. Easy to clean, sweat-resistant exterior means a clean cinch every time. A stainless steel roller buckle makes for an easy and accurate fit.